The TAP Play Hard All Sports Memory Mate, is a themed traditional style memory mate. 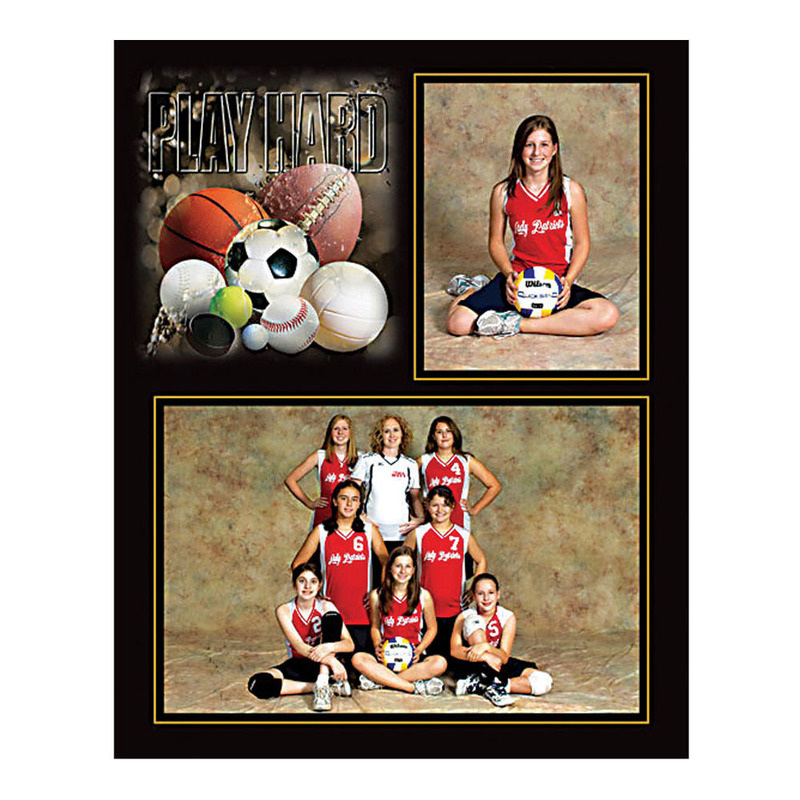 This memory mate is designed to hold an individual portrait and a team picture. 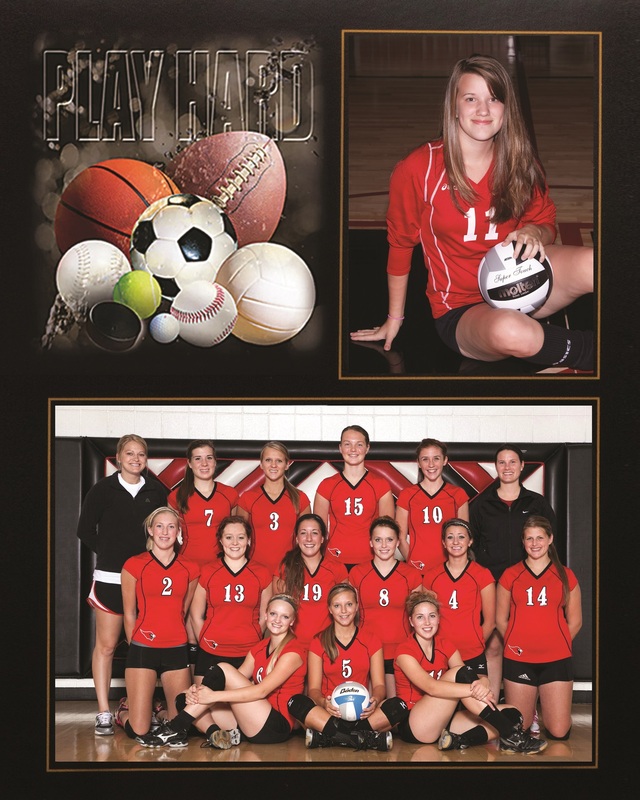 There are coordinating Play Hard Sports Folders to complete your photo packaging. Don't forget to add foil imprinting with your studio die and the name and year of the sports team. Large sports motif, to the left of the individual portrait. Matte black with matte gold borders. Customers who purchased a TAP Play Hard All Sports Memory Mates also purchased these items. Rate our Play Hard All Sports Memory Mates.